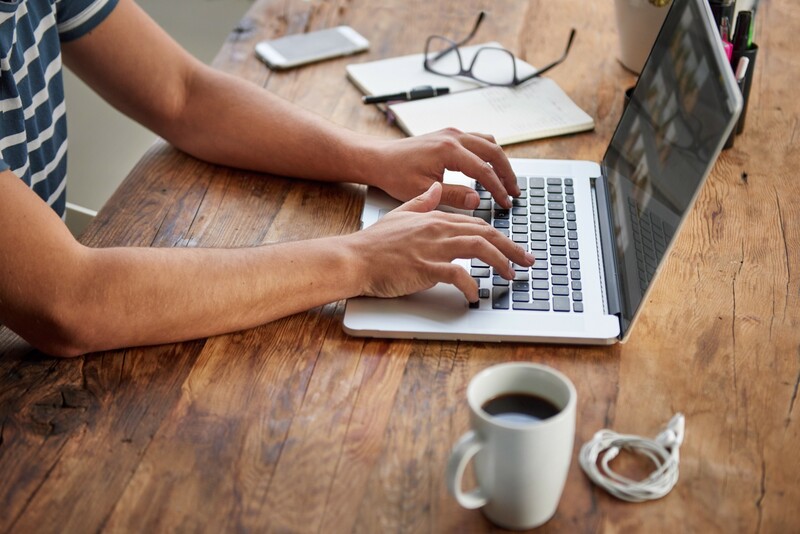 I come across so many interesting info-apps and documents in my daily research, so I thought I’d provide a list of those for you. 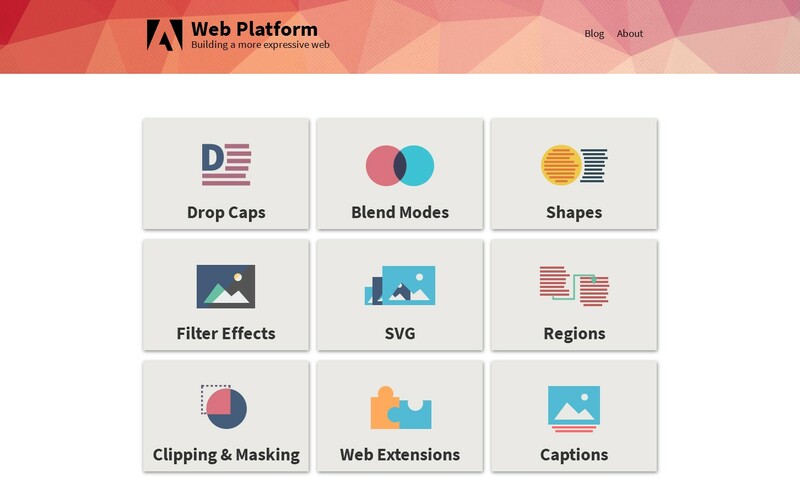 The newly-designed Adobe Web Platform site with lots of info and examples of new technologies on the web platform. 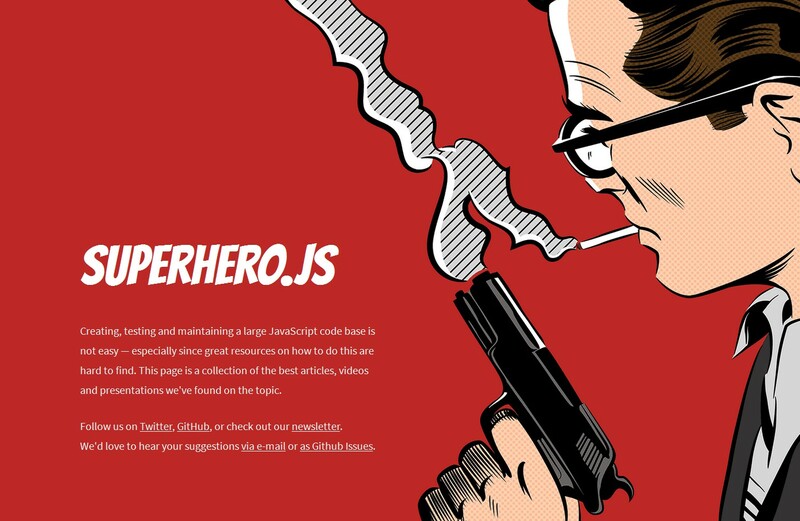 Includes content on SVG, CSS Regions, Filters, Web Extensions and more. 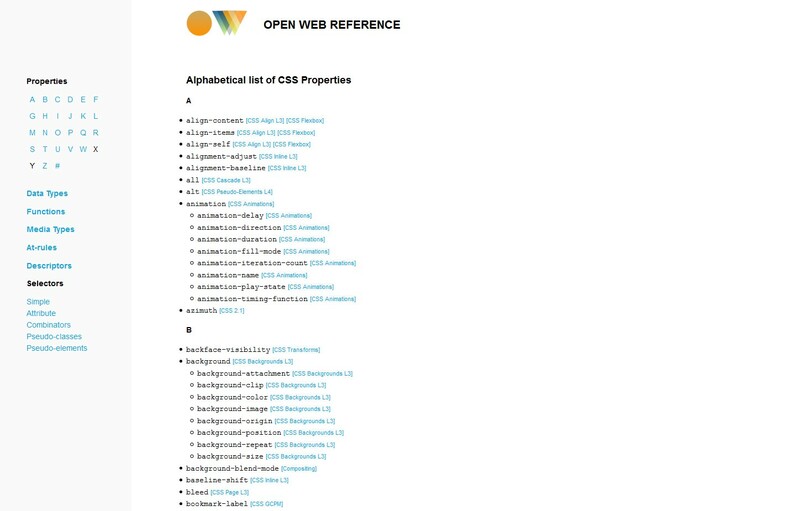 Many of these are emerging standards that the Adobe team is contributing to in the spec, so the website showcases some of these with links to the spec and code examples. 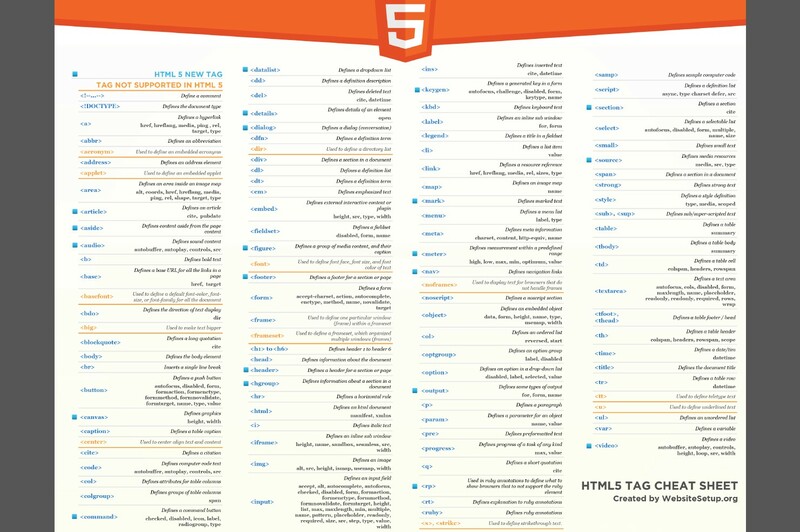 This is a really nicely designed HTML5 tag cheat sheet. It’s available as a PNG or PDF in a printable format, if you want to have it as a handy hard copy. From the Sass master himself, Hugo Giraudel, “an opinionated styleguide for writing sane, maintainable and scalable Sass.” The guide has already been translated into 6 other languages. 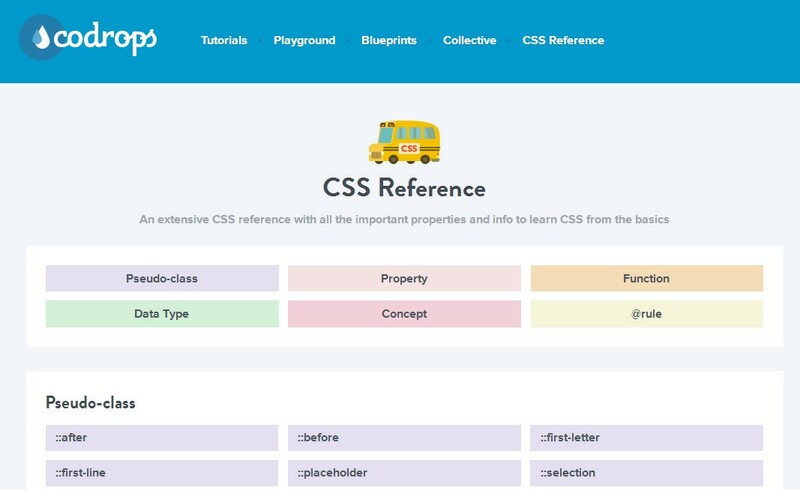 In case you missed this one, Codrops, with help from Sara Soueidan produced their own very nicely designed and comprehensive CSS reference. 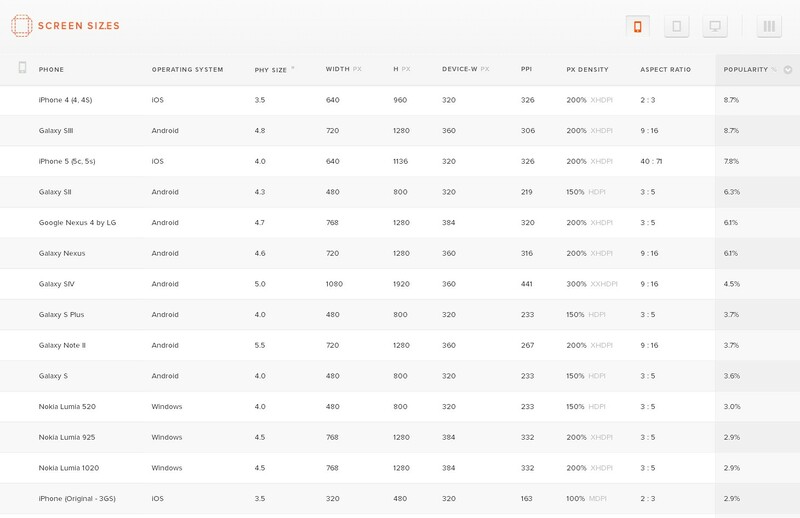 A really extensive list of mobile devices and laptops with their respective screen sizes. The devices even link to their product pages on Amazon. 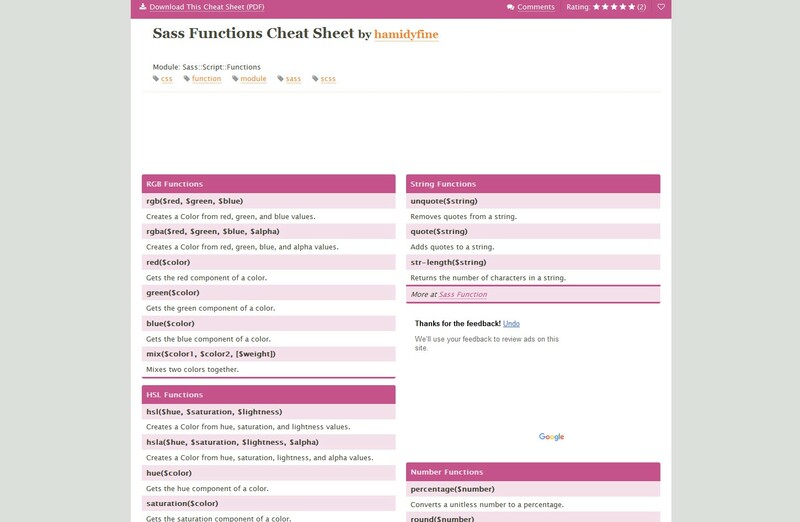 A searchable list of Sass functions (color, opacity, number, string, etc.) 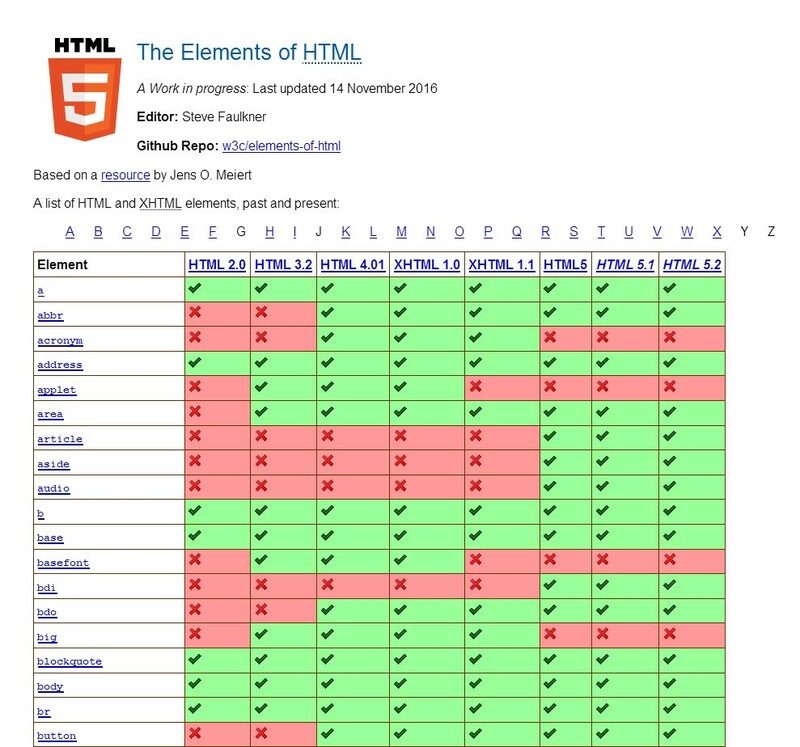 as a handy reference. You can download as a 2-page color or black-and-white PDF or LaTeX document. 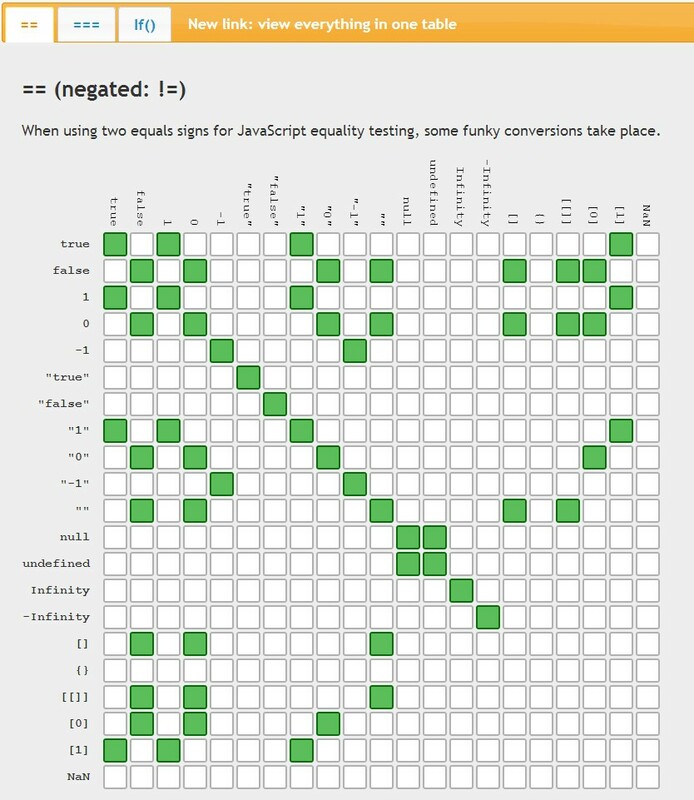 A simple website that lists various katas (small tasks) for learning ECMAScript 6 by doing it. 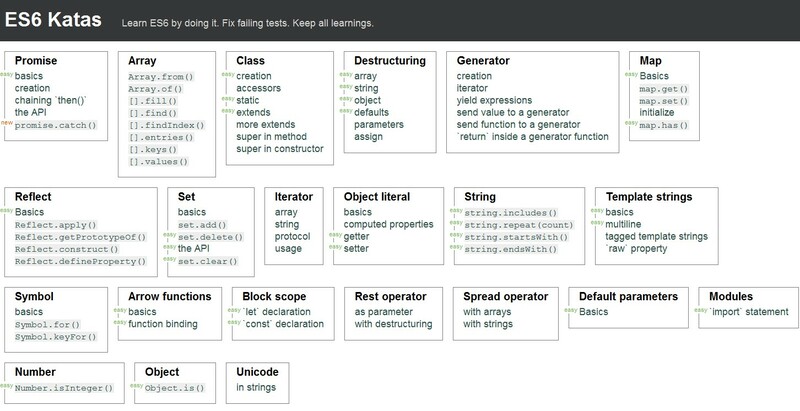 Each kata links to tddbin and loads the according source code in there. All you have to do is fix the failing tests. And by doing so you are supposed to use and learn ES6 one small task and feature at a time. 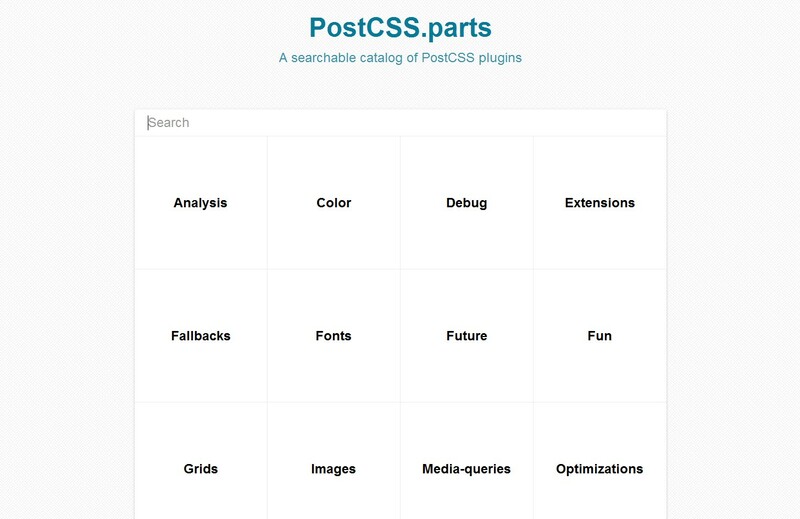 A searchable catalog of PostCSS plugins. If you aren’t yet that familiar with the growing community around PostCSS, this might be a good way to learn about the kinds of plugins available. 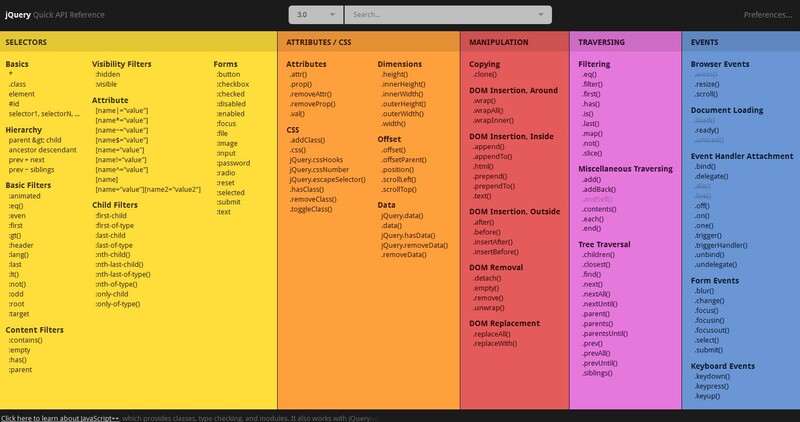 A one-page cheat sheet of jQuery features, covering versions of jQuery up to 1.10/2.0. Just click a feature and it will open the page from jQuery’s docs in a modal window. 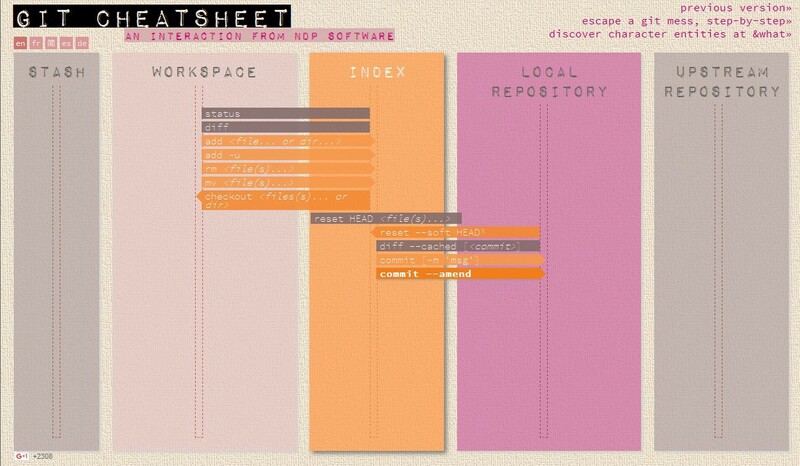 @fayekhelmi shared this nice Git cheatsheet with us. Thank you! 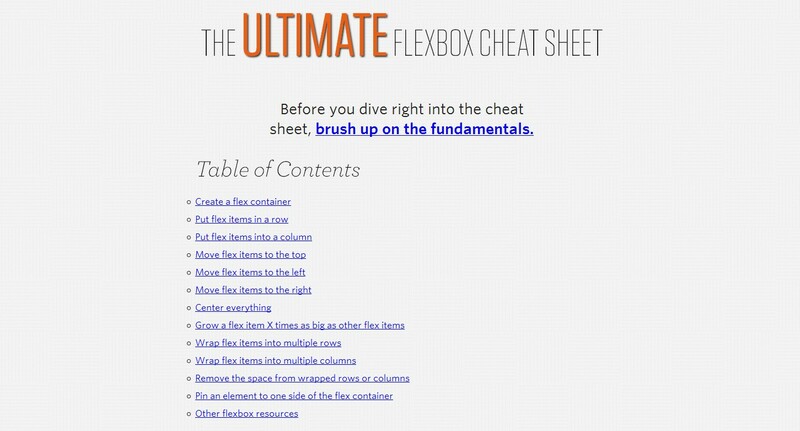 If you know any other useful docs, guides or cheatsheets, please share them in the comments and I’ll add them to the list.